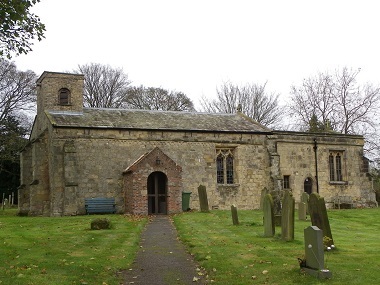 St Margaret's church serves a small village of some 200 people which includes approximately 15 children. It still holds its LEP status though there has not been a Methodist service for some eight years (due to dwindling numbers). The Methodist Minister however takes one service per year (Harvest or Christmas). The PCC makes an effort to involve the villagers by arranging special services at Harvest and Christmas. The latter aims to involve as much local talent as possible. These services attract many who would not normally come to church. An Annual Art Exhibition, showing the splendid work of the local Art Club, held in church attracts great interest from villagers and visitors alike. The church is a simple but homely place which holds sixty people. Comments in the visitor's book remark on its tranquillity. The nave dates back to the mid 12th century, the chancel being added in the 14th century. Of particular note is the stained glass window installed in 2007. It was designed by Tom Denny and shows the Road to Emmaus, the scenery depicts that around Millington. Fifth Sunday: Group Service - venue & time in Bulletin.